Another farmers market stand is going the brick-and-mortar route. 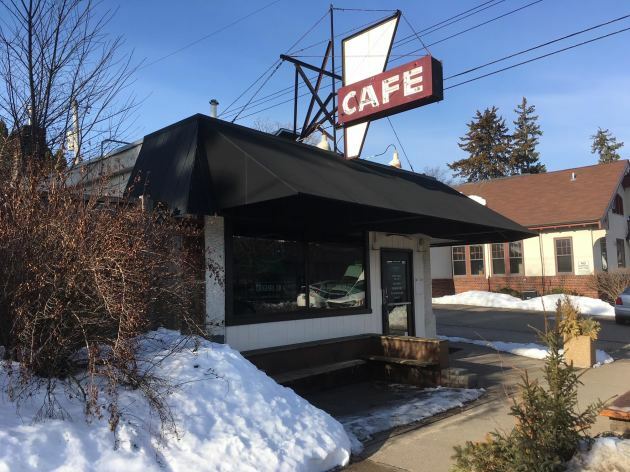 Dulceria Bakery, maker of contemporary Mexican sweets, is taking over the former Colossal Cafe space at E. 42nd Street and Cedar Avenue South in Minneapolis. The doors should open in June. “I’m excited, and terrified, and excited again,” said owner Dulce Monterrubio. In 2017, Monterrubio left her 13-year career in education to follow her passion, baking a wide range of eye-grabbing cookies, bars, pies, cakes and other delicacies that spotlight ingredients from her native Mexico: addictive ancho chile brownies, decadent shortbread bars topped with mango and toasted coconut, guava jam-glazed pound cake, clever conchas-shaped cupcakes filled with all kinds of goodies, lattice-topped Haralson apple pie with cajeta-pecan crumble and delicate, lard-based cookies brimming with a refreshing orange bite. It's no suprise that shoppers at the Linden Hills Farmers Market jumped. That enthusiasm from the community encouraged Monterrubio, who just returned from a month-long fact-finding trip to Mexico, full of ideas for expanding her menu. She also witnessed a tremendous amount of French influence. Monterrubio was also happy to encounter a favorite from her childhood, pan de elote. It’s a treat that’s also naturally gluten-free, an emphasis that will continue as Dulceria makes the transition from farmers market stand to bakery. “We’ll be looking to incorporate more gluten-free and vegan pastries into the menu,” she said. Post-journey, another classic that she’s also finally ready to embrace is tres leches cake. One trend she feels Minnesota might not quite be ready for is ground crickets. The small-scale space (which was most recently home to the short-lived Original on 42 sandwich shop) will include limited seating (“We’re putting in a bar by the window, so people can enjoy the sunlight that we desperately need,” said Monterrubio) and it’ll also feature beverages. The commute won’t be a long one. Monterrubio and her family live 10 blocks from the new bakery. After baking for a year in her home kitchen (by statute, home production is allowed for farmers market sales), Monterrubio is looking forward to moving on to a roomier commercial setup.